Tomato is the second most consumed vegetable in the EU and a major dietary source of many nutrients, vitamins and antioxidants. A large number of European traditional varieties have been developed by local farmers ever since tomato was introduced to Europe by the Spanish conquistadores in the 16th century. The aim of TRADITOM is to valorise the genetic diversity stored in traditional tomato varieties and to increase their resilience in order to prevent their steady replacement by higher yielding, hardier and often less tasty modern cultivars. The TRADITOM project was implemented from 03/2015-08/2018. It has received funding from the Horizon 2020 European Union funding for Research and Innovation with a total budget of €4.3 million. The project coordinator, Professor Antonio Granell of Consejo Superior de Investigaciones Científicas (Spain) has assembled a multi-national team of experts from sixteen partner institutions. Together, they aim to foster the conservation of traditional tomato varieties and increase their competitiveness in the global and local market. TRADITOM in the kitchen: Discover our team’s favourite tomato varieties and tasty recipes. 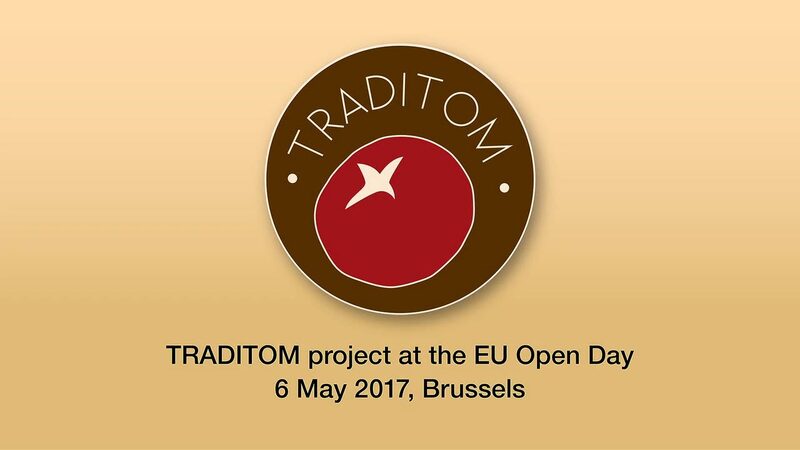 TRADITOM latest news + events: Find out about the project’s ongoing activities and progress.